The NPC Companions of Skyrim list has been hugely extended and moved to be it's own post due growing size of the Guide. Hint: Use Browser search function (CTRL+F) to find certain Race, Companion, Town or Class. Alert: Don't mix this NPC companions page with guild called "The Companions". If you're looking for how to join the guild - please check this part of the guide. Companions in Skyrim can be found at various locations all over the land. So all you need to do is keep looking and check dialogue options regularly, especially after completing a quest with certain NPC! They might have an dialogue option available where you can ask him/her to help you out and join your party. Most common place to find companion, though, is any Inn at any of the nine major cities. Most of the NPC’s at Inns will require a small salary for them to join which most usually is 500 Gold. You can have only one companion at once. Companions can be given short orders: Wait, Attack specific target (point with cursor) or barter with companion, meaning you can give weapons and armor to him/her. If he picks up a secondary weapon you don't want your companion to use just barter and take the specific weapon back, leaving him/her with only the weapon you want him to use. Characters that are marriable, will be available after you have achieved an Amulet of Mara. When marrying a character, they will set up a store for you making 100 Gold a day. If follower is able to join The Blades, it will be available at Skyhaven Temple. You can now rate any Follower! Rate by how useful he is. 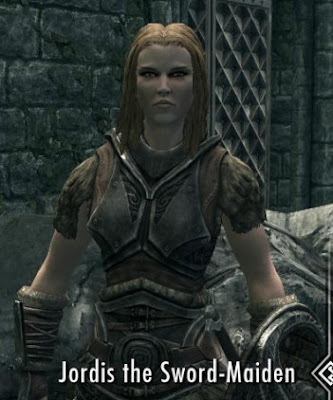 Aela is a Nord thief, who you’ll first encounter outside Whiterun city walls at a farm, fighting a Giant with few other warriors, who actually are members of The Companions. Either that or she can be found inside the farm. If you talk to her, she will tell you about how to join The Companions by speaking the leader. Someone correct me if I’m wrong, but I think you must first complete first quests of The Companions and prove you’re worthy to join before actually getting an access to recruit Aela. Aela is very useful companion because she is Archery trainer, that provides training of archery to level 75 free, given that you have joined the Companions first. You can get cut from the shares in her store, or sell items to the store. She is also highly ranked member in The Companions, meaning she can grant you with additional Quests, thus making her also an essential NPC, who cannot be killed. When she goes down, she just gets “stunned”. She starts with Heavy Armor set but is better with Light. After acquiring Amulet of Mara, she is also available for marriage. And as last but not least, she is a Werewolf! 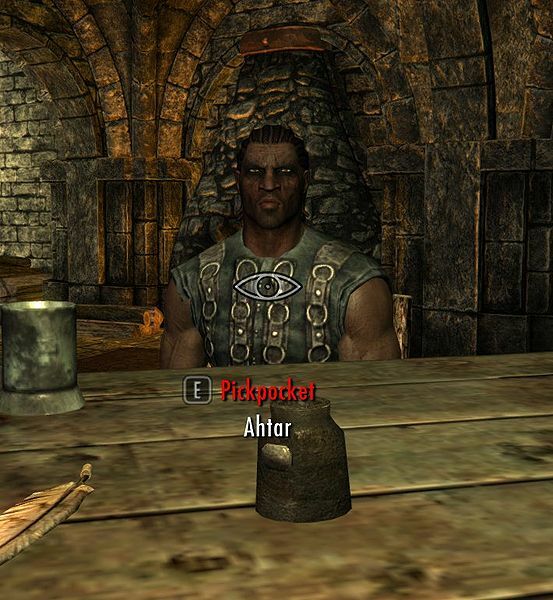 Ahtar is a Redguard Warrior to be found in The Jail of Solitude. Can be also found when entering Solitude first time when he is performing execution of Roggvir. Don’t walk up to him until the execution is done, because this will turn guards hostile. He will become available as a follower after you complete his given Quest to go and kill bandit leader in Broken Oar Grotto. There’s a conflict that you’d avoid if you want to get that above mentioned quest. Don’t finish Quest Lights Out! first by killing Captain Hargar, because this will make Ahtar’s quest at Broken Oar Grotto unavailable! Trained in Two-Handed Weapons and Heavy Armor. Annekke Crag-Jumper can be found at a small farm called Darkwater Crossing, located in southern Eastmarch. You’ll have to complete her Quest before you can recruit her as a follower. Annekke is a Nord female, who’s geared towards thief and hunter skills more than anything else. She specializes in Light Armor and Archery, with One-Handed and Block as supportive skills. Her Sneaking is mediocre though. Aranea is a Dunmer mage, who worships Azura – thus can be found at Shrine of Azura. She will give you a quest “The Dark Star”, where you’ll need to find Nelacar, who according to Aranea, wholds power of the stars. 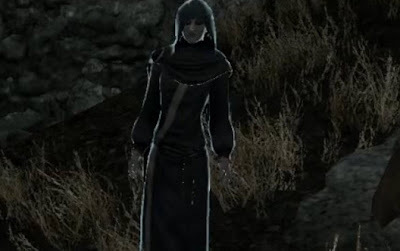 On counter-side Nelecar also has own quest to bring Azura’s stone to him, and if you do, you’ll lose the chance to get Aranea with you, thus making her threaten to kill you for defiling a daedric artifact. Nelecar can be found at College of Winterhold. Once completing her side quest, she will be available for recruitment. Aranea is very powerful mage, who likes to use Destruction spells for damage and is capable for Alteration spells usage. She also likes to summon three different types of Atronachs on high level. 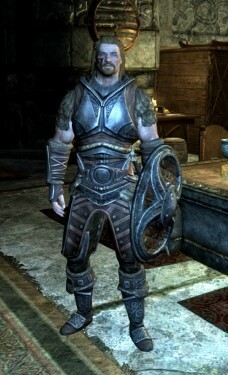 Argis is a Nord Warrior who works at Vlindrel Hall in Markarth. 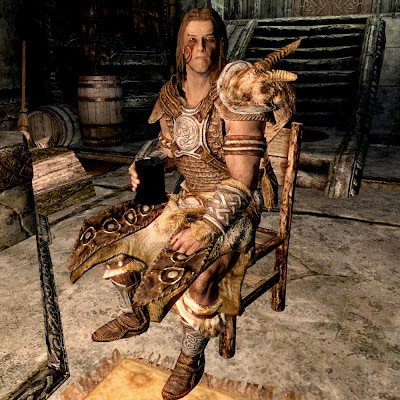 He will be assigned as your “Housecarl” of Markarth, when finished doing Quests for Jarl of Markarth thus achieving the rank “Thane of Markarth” (kill leaders of the Forsworn/help five citizen). After this you also need to buy the house in the city also (Vlindrel Hall). He is specialized in Heavy Armor, One-Handed, Block, Archery and has competitive Two-Handed also making him a good melee follower. 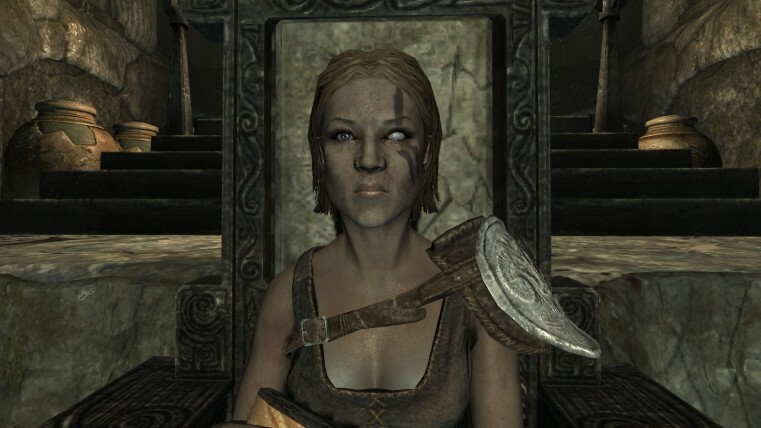 Athis is one of the followers available through The Companions Guild in Jorrvaskr when proving your worth to the guild by doing some quests. He is also trainer for One-Handed Weapons. Specialized in One-Handed, Block, and Light Armor. 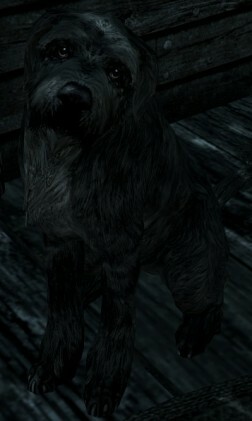 Barbas is a Quest related Dog to be found eventually in Falkreath with the quest related to Blacksmith’s (Lod) missing dog. The Dog is usually just outside the city gates. 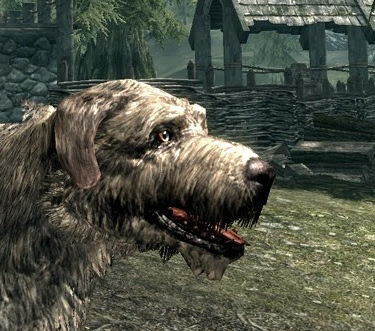 This Dog can talk and will lead you to a quest about to visit Haemar’s Shame, where a daedric shrine is located. He won’t join you after the quest, but will accompany you when the quest is still going. If you want to keep him as a companion, you can just leave the quest to be and do other things with Barbas along. He is invincible, and cannot die, thus making him helpful. 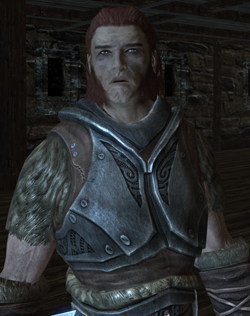 Benor is a nord warrior who tends to hang out in front of Guardhouse in Morthal. He’s not one of the city guards for he has been turned down – he’s a bit of violent nature. He will challenge you for a brawl with a bet of 100 Gold (which will count as a quest to help people of Morthal also) – if you win, talk to him again and he’ll be available as a recruit. He likes to wear Heavy Armor with Two-Handed sword – can also brawl with fists. 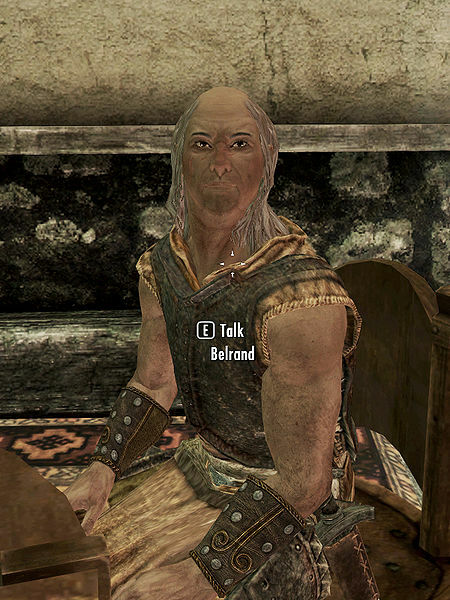 Funny sidenote: if you select “it’s a time to part our ways” while married, Benor may die later and courier will deliver you a letter stating that you have inherited 400 Gold. 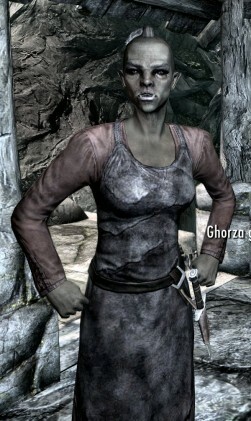 Borghak is an female Orc to be found at an orc stronghold called Mor Khazgur, which is located far west from Solitude, northeast from Markarth. To gain access to the stronghold you must first to a quest for the orcs there, a radiant AI quest “The Forgemaster’s Fingers”, or the guards won’t let you in. Borghak is an Orc warrior wearing Heavy Armor and wielding One-Handed blade. After doing above mentioned quest and heading in the stronghold, you can get her as a follower if you can convince her to leave the stronghold. 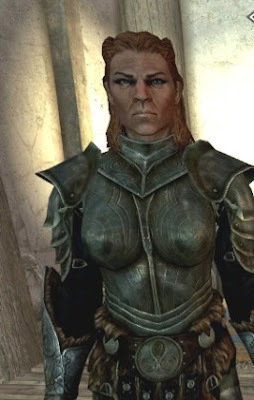 Brelyna is a Dunmer mage and one of the three followers to be found at College of Winterhold. She is a bit of a introvert, and a student in arts of magic. She’s much more friendly towards Dragonborn by attitude than many others at the College when first met. Though as low level bit clumsy with her spells and not perhaps as highly learned as J’zargo, she is more than capable being naturally talented, and will learn well in future. You can unlock her to be available as a follower by helping her with experimenting her spells – thus completing her mini-quest. She is a good addition to combat oriented player, thus being very powerful mage, and she also tends to summon Frost Atronachs to fight alongside with you. She also likes to summon Shield type spells in combat. When low on health she runs off to heal with spells, however you’d better be tanking since she hasn’t got that much health. Her spells can make noise when cast, thus not best option for a sneak loving characters. As another downside her level seems to cap around Level 30. When she is your spouse, while sleeping with her on a bed will grant you 15% stat boost of “Lover’s Comfort” – meaning your all skills will faster 15% faster for next 8 in-game hours. Does not work with Lover Stone activated. Ability is also lost if you become a Werewolf. You will first have to do Questline for Windhelm Jarl in order to grant yourself a title of Thane Of Windhelm. 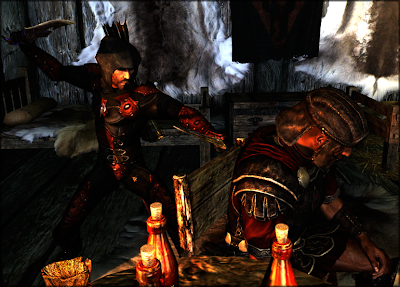 After this the Jarl will make buying house available to you and appoint Calder as your personal “housecarl”. Not accessible until your new house “Hjerim” is purchased. He is specialized in Archery, One-Handed Weapons, Block and Heavy Armor. 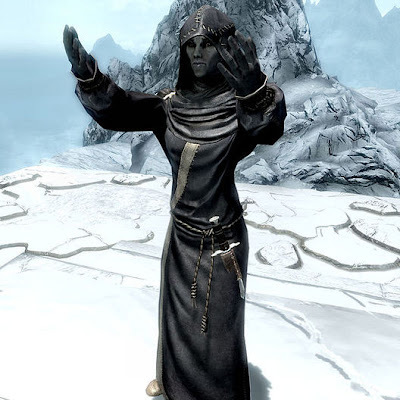 Cicero is an imperial assassin of Dark Brotherhood, who can be found prior to joining the guild at a road leading to Whiterun, northeast from Whitewatch Tower, near Loreius Farm. However he will later be encountered in Dark Brotherhood questline, where the actual events take place to make him available for companion. He is a member of Dark Brotherhood, who’s responsibilities consist of caring for the Night Mother’s body and casket. 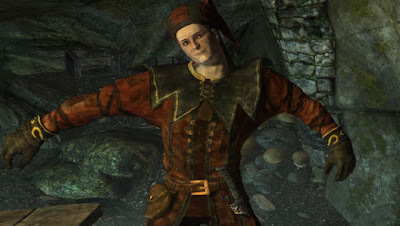 Cicero wears sort of unique “jester set” of clothes, which provides some enchantments. He prefers dagger as a weapon and is trained more specifically in One-Handed, Sneak, Light Armor and Archery. Spare his life during Brotherhood Quest – Cure for Madness and he will become your follower. When you establish the new sanctuary, he will be outside waiting for you, now ask him to join. 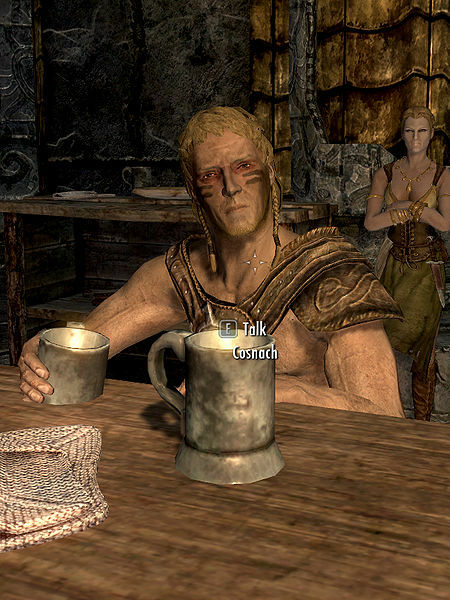 Cosnach is a Breton, who can be found drinking heavily at Silver Blood Inn in city of Markarth. He is unemployed at the moment drinking for his sorrows. Sometimes it’s possible to interact with him in a way that he will challenge you for a brawl. Win the brawl for bet of 100 Gold and after winning talk to Cosnach again – he will now be available as a follower free of charge. Optionally you can just give him a drink, and he’ll join you anyway. He is specialized in Light Armor, One-Handed, Heavy Armor, and Block. These initiates will become available to you after completing all quests of The Dark Brotherhood, and can be found and recruited from Dawnstar Sanctuary in The Pale Hold. They come with many different random generated faces. They are trained in arts of One-Handed, Sneak, Light-Armor and Archery. Derkeethus is an argonian miner at Darkwater Crossing in Eastmarch, professing as a ranger in battle-class. NPC’s at Darkwater Crossing talk about a missing person, who reveals to be Derkeethus. After you complete the quest and rescue him, he will have an option available to be recruited. He is trained in One-Handed and Light Armor, also being capable with bow and will Dual Wield also. 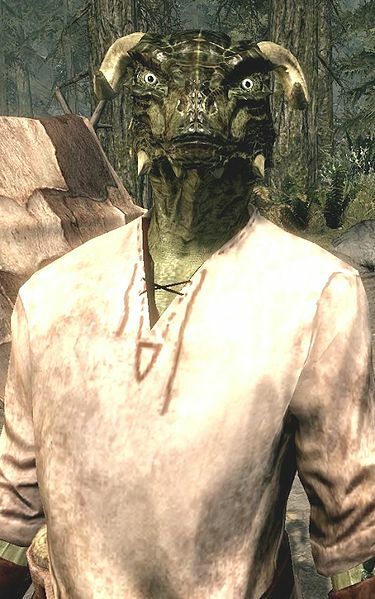 As a note he is also the only Argonian follower available in the game! Can be found at Hall of The Dead in Markarth. She is a folloer of Daedric Prince Namira. Can be recruited after doing a quest for her (The Taste of Death) to clear out Reachcliff Cave, and agreeing to join her Cannibalism coven, thus becoming a Champion of Namira. Eola is a skilled mage capable of summoning creatures with Conjuration magic, and reanimating bodies of the slain enemies to fight along your party. 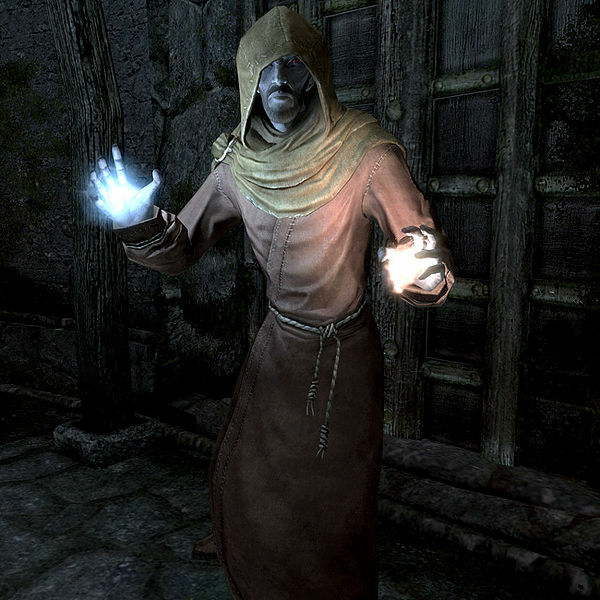 Erandur is a Dunmer Mage who can be found at Dawnstar inside Windspeak Inn. When entering Dawnstar, player will hear rumors about nightmares plaguing the city. While starting investigation, player then will be directed eventually to Erandur, who is also inspecting the nightmares. Talking to him will trigger a quest called Waking Nightmare. 2.Let Erandur finish the ritual, thus banishing the skull to oblivion – this grants Erandur to offer his services to you and become your companion! Erandur is a bit of a mage/warrior hybrid. He will come equipped as a mage, but will equip Heavy Armor if given to him. He favors Maces, both one- and two-handed versions. He will also do combat as a hybrid, using one-handed weapons and Destruction magic both. If dismissed, he can be found at Nightcalled Temple to be recruited again. 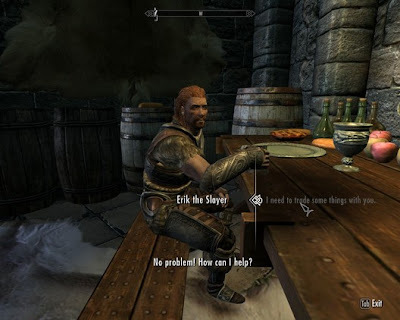 Erik can be found at Rorikstead, whereas you must first convince his father Mralki at Frostfruit Inn to let him to become an adventurer – if you’re successful with your speech check when convincing the father, you can then tell Erik that he can become an adventurer. Erik will then tell you that you should return Rorikstead soon to exchange some adventure stories with him. After traveling somewhere else and letting small amount of time pass, travel back and find him at the Inn, where you can find him for hire with 500 Gold. Eric is melee/bow class Barbarian who prefers two-handed weapons along with Light-Armor. Erik might be possible to marry, but it’s a bit random as even though he has an option for it, radiant AI may never unlock it. 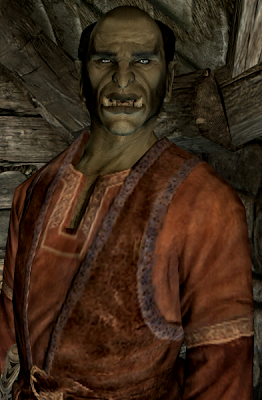 Faendal lives in Riverwood, he is the one that Camilla loves. He will join your side if you expose Seven to Camilla by completing the quest given by Sven (A Lovely Letter) that way, and then talking to Faendal again. 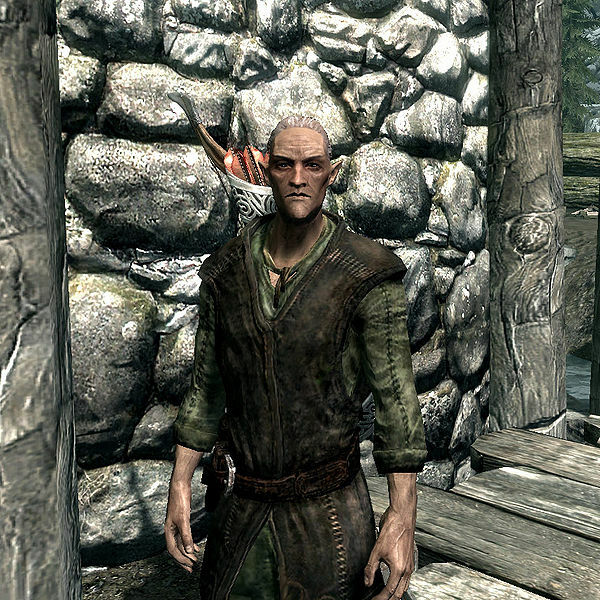 He is Archery Trainer thus making him perhaps better choice than Sven at the beginning when entering Riverwood. As an annoyance, when following the player and giving him better bows, he will equip them. However when fast-traveling in between, he will tend to switch back to his original bow and stick with it. 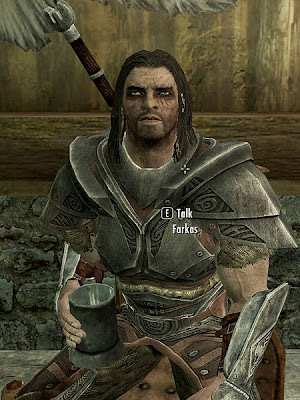 Farkas is a Nord warrior, also a blacksmith, who belong to guild of The Companions. He specializes in one-handed weapons with shield. His advantages consist of being Master Level Heavy Armor trainer, as well as being able to give you extra quests. He will eventually come available when completing The Companions Questline, and he will also be available for marriage. Trained in One-Handed, and Heavy Armor. Can be found at an orc stronghold of Dushnik Yal, whereas you must first complete the quest The Forgemaster’s Fingers (radiant AI quest given from an any orc living in any Orc Stronghold, retrieve an item) to gain full access to the to the stronghold, unless you are Orc by race yourself. Dushnik Yal is located southest of Markarth. Must then be convinced to leave the Stronghold for adventuring. Ghorbash is a brother of Chief Burguk, an ex-imperial legion warrior – Ranger by class more specifically. Likes to wear Heavy Armor and swing an axe, decent with a bow also. He can be located inside Hillgrund's Tomb, which can be found Northeast from Riverwood on the other side of that large mountain. You need to help him to defeat warlock called Vals Veran, and after this Golldir will return to his aunt – now ready for to be recruited. Specializes in Two-Handed Weapons and Heavy Armor. Complete the Darklight Tower Quest (Repentance). You can find Darklight Tower southwest of Riften. You will meet her upon entering the dungeon and she will ask you to help get revenge on Hagravens inside the dungeon. After completing the quest, talk to her and she will join you. If you reject her, she will return to the tower where she can be found again. Illia is a powerful mage with her effective Restoration and Destruction magic. She is also a dragonborn, meaning she can use dragon shouts. She can be bit whiny at times. If she is dismissed for any reason, even automatically because of a quest companion taking over, she enters a state in which she will no longer be a companion and keeps all the equipment given to her. To fix this via console command: target Illia, setrelationshiprank player 1. Make sure you stand very close to her before opening the console. Note: May have to repeat this every time she is dismissed because of a quest. Possible workaround: Using these commands may fix Illia's relationship resetting when you dismiss her: (target her in console first)setrelationshiprank player 4, addfac 19809 1, addfac c6472 1. If you can't find her in Darklight Tower or other places, she might be wander around somewhere. Use this console command to move her to your location: 0004B22E.moveto player or player.moveto 0004B22E to teleport to her location. 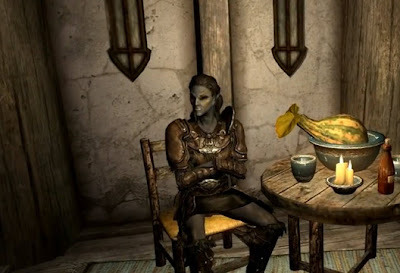 Iona can be achieved by doing some quests for Jarl of Riften, until you are appointed as Thane of Riften, thus also granting you access to buy a house in the city. After buying a house, you’ll be able to get her as your “housecarl”. Her best abilities are Archery, Block, Heavy Armor, One Handed, and Two Handed. You can hire her for 500 Gold. She a mercenary that can be found in Drunken Huntsman in Whiterun. 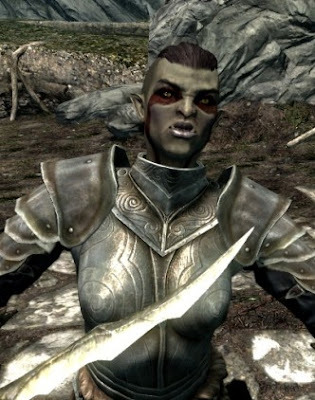 Jenassa is a dunmer ranger, who much prefers light armor, bow and one-handed weaponry. Also has special ability for "a criminal disposition". Will use sword and shield combination, but if given two one-handed weapons she will dual-wield. Can use bow at long range, and when sneaking. Can also use staffs. 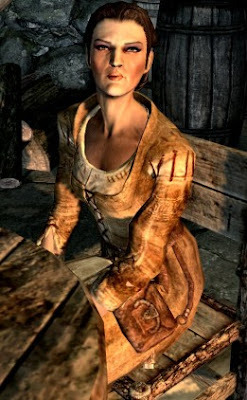 She is your Housecarl in Solitude, after doing Jarl Questline of Solitude for completing five miscellaneous quests for people around the city, and then purchasing Proudspire Manor when eligible. Jordis is a Nord Warrior specializing in Heavy Armor, Block and One-Handed, and is very potential follower thus her high amount of health. 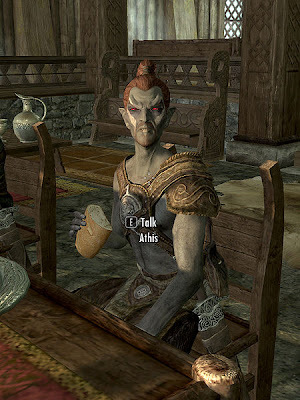 J’zargo is one of the three followers of The College of Winterhold. J’zargo will agree to accompany you with your adventures after you talk to him and agree to set yourself on fire, letting him know how much it truly hurts – thus completing his mini-quest called “J’zargo’s Experiment”. 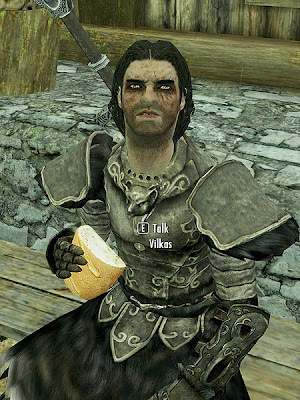 He can be found at The College of Winterhold, within Winterhold. He is a khajiit mage, who likes to dual-cast destruction spells during combat, and he can be equipped with armor. 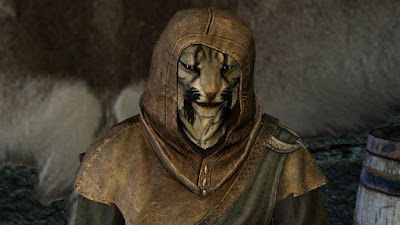 He is the other of only two Khajiit companions available along Kharjo. Kharjo is a personal bodyguard for Ahkari’s Caravan, which travels the roads between Dawnstar, Riften and Windhelm. You best bet is probably check out near city gates of any of these cities for the caravan, or travel the roads between the cities. 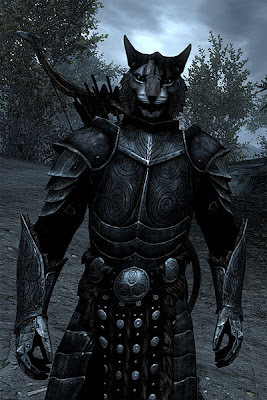 He is an agile Khajiit Warrior, who’s able to use mace, shield and heavy armor efficiently, as well as he can also use bow well. His specializations are: One-Handed, Heavy Armor, Archery and Block. He is the other of only two Khajiit companions available along J’zargo. If told to wait and leaving him waiting for too long, he will eventually return to his caravan. An early game companion that’ll be available after you complete the “Dragon Rising” quest of main questline by slaying your first dragon, which after Jarl will assign her as your “housecarl” similarly as you become a Thane of Whiterun. She is efficient with a sword, and prefers heavy armor. 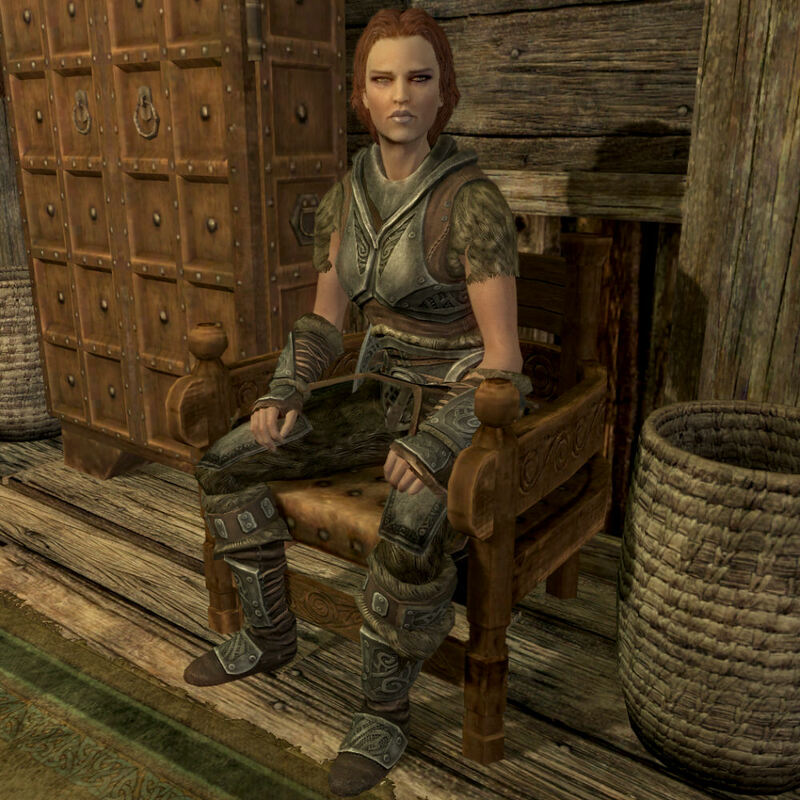 If you tell Lydia to wait and it takes too long, you’ll get message that “she is tired of waiting” – she will then make her way back to Dragonsreach where she can be found again. Wait if she doesn’t appear directly. 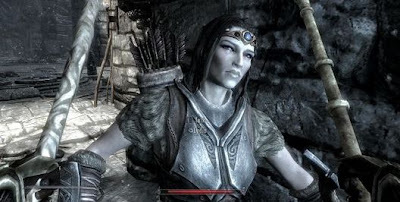 Hint: If she is replaced as your follower later on by Farkas during Companions questline, she will return to your house in Whiterun, if owned, otherwise to Dragonsreach. 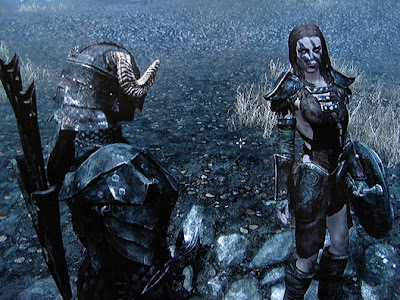 After the quest with Farkas, she can be asked to follow you again. He is a wizard you can hire for 500 gold. He can be found at Bee and Brab in Riften. He is a powerful mage specializing in Destruction, Alteration, Restoration and Conjuration schools of magic. He also has decent sneak skill. Marcurio claims that he is “master” mage, but admits being just an apprentice if you push him bit further. However he is very good as a companion despite his annoying and arrogant nature. Can be found at Meeko’s Shack in Hjaalmarch. If dismissed will return to Meeko’s shack. A normal dog, not much more. May block players path quite much and be a bit annoying due this. Mjoll is Nord Adventurer who can be found at Riften, and is easily recognizable with her Braveheard-stylish war-paint on her face. She is bit of a bully type, and whines about the corruption in Riften, and the Thieves Guild leading it. She can be found either at traveling near the middle Marketplace, from Inn, or Aerin’s House. To get her to join you you’ll have to accept and do a quest for her about recovering her sword “Grimsever”. If you get it, she’ll become your companion if you ask. She will take the sword but you can retrieve it for yourself once gotten her as companion, by bartering. 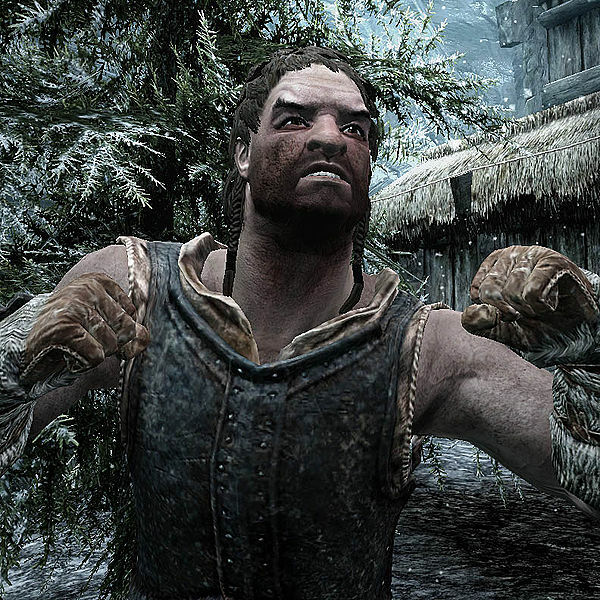 Mjoll is very skilled in One-Handed Weapons, Heavy Armor and Block skills. Weirdly she seems to stop leveling above mentioned skills around level 40. She is also invincible, meaning that when she runs down, she’ll get “stunned” and won’t die permanently (only Marriage follower like this). She is available for marriage, and will move to your house while you do so. Killing her friend Aerin will disband her as your follower. However if you somehow persuedate Aerin to attack you first and she dies as a result, Mjoll won’t care. Another way to get rid Aerin is to murder her unnoticed. 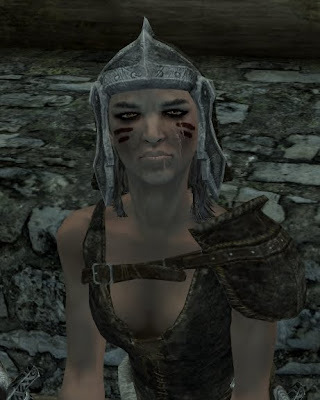 Another The Companions follower, to be found at Jorrvaskr, and able to recruit after proving your worth to The Companions by doing some quests first. She’s bit of a unsocial nature and lets you eventually know how she feels about you joining The Companions, she won’t show much respect even when you’re the leader in the end. 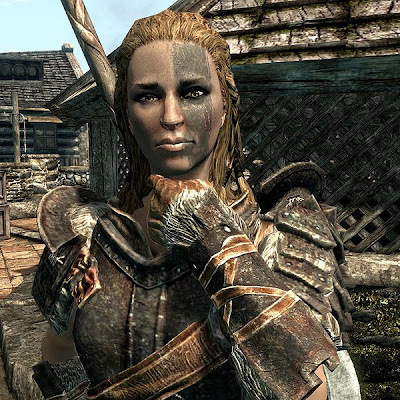 She is a Nord Warrior who specializes in brawling and Block skills, and is also Expert Block Trainer. Ogol is an Orc warrior, who can be found in Largashbur. 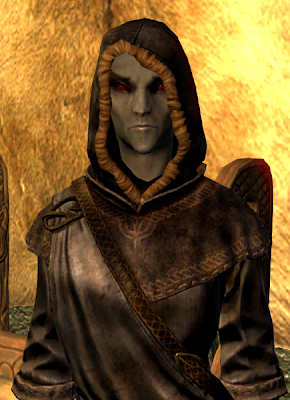 He will be available to join you if you complete Malacath’s Daedric Quest called “The Cursed Tribe” first. The Quest is given by Orc sorcerer called Atub, which is residing in Largashbur Stronghold. After Giant attacking Stronghold, she can be seen arguing with Yamarz. Ogol is specialized in arts of Sneak, One-Handed, Heavy Armor and Archery. 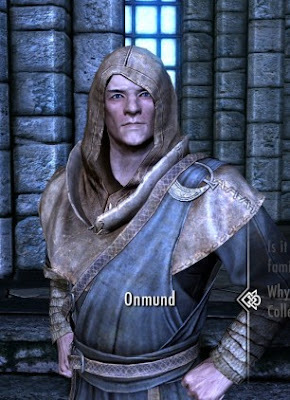 Onmund is one of the three followers of The College of Winterhold and will be available as a follower after Dragonborn does him a personal quest for recovering his amulet to him. He’s a strong mage being most trained in Destruction and Illusion schools of magic, in addition with being decent with One-Handed and being able to wear Heavy Armor. Can also use Archery decently. Another The Companions follower, who’s able to be recruited after you prove your worth to the guild by finishing some quests to them. She is trained in One-Handed, Archery, Heavy Armor, and Block. 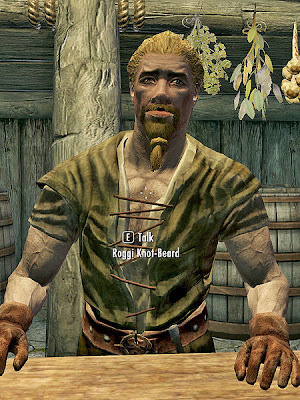 Roggi Knot-Beard is a Nord NPC located at Braidwood Inn, Kynesgrove, which is located just south of Windhelm. He will give you a quest to retrieve his ancestral shield – once you have completed the quest, talk to him again and he will agree to join your party as a follower. He is trained in arts of Alchemy, Enchanting, One-Handed and Smithing, thus not perhaps making him the best warrior around. You can hire him for 500 gold. He can be found in second floor of Candlehearth Hall in Windhelm. Stenvar specializes in Heavy Armor and Two-Handed swords, also being decent in Block and Arhery, thus making him great offensive warrior. Due his offensive sense he is vulnerable to arrows and spells slung by Dragonborn. He is available for marriage and will open up a store when married. Played can then collect 100 Gold daily or let the profits accumulate. Player can also trade with Stenvar for goods. 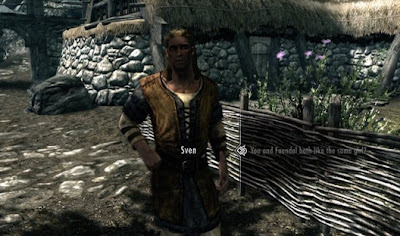 Sven is Nord Bard specializing in Alchemy and lives in Riverwood. He can be found at Sleeping Giant Inn most often, or wandering around the main street. 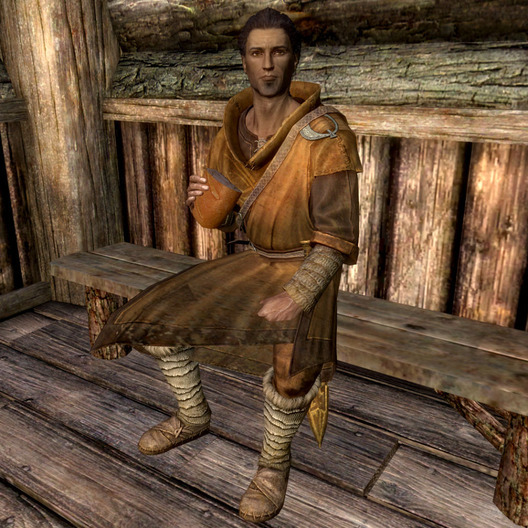 He'll ask you to deliver a letter for woman called Camilla, a fake letter from Faendal. The reason behind this is both Sven and Faendal are in love with this woman, but Camilla seems to love Faendal so Sven wants to drive out the competition. After you do the task get back to Sven and complete quest. Now talk him again and ask him to join your party. Another of The Companions followers able to be recruited after doing some Quests for the guild first to prove your worth. 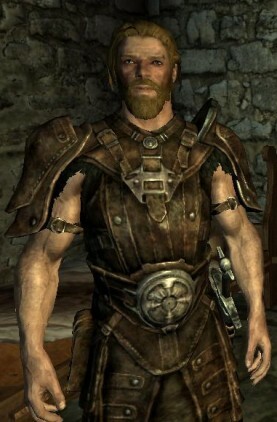 He specializes in One-Handed, Heavy Armor, Archery and Block. 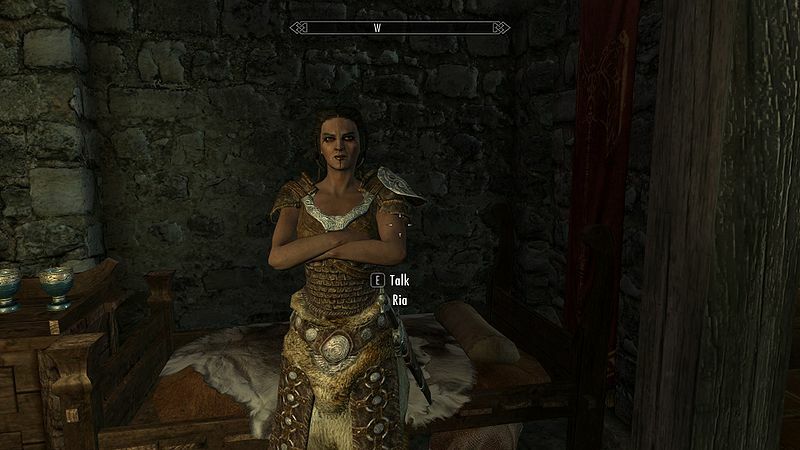 You will find a women in Bannered Mare in Whiterun. You need to defeat her in a brawl (place 100 gold for bet). Pay her 100 bucks and she will join your side. She is very capable with Two-Handed weapons and likes to wear Heavy Armor. Will turn against you if you get caught of pickpocketing or some other criminal deeds, thus not perhaps recommended for a thief as a follower. 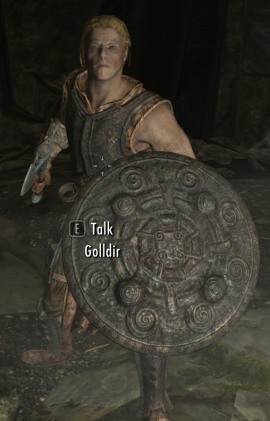 Uthgerd makes a good tank character during high armor rating and high damage output. 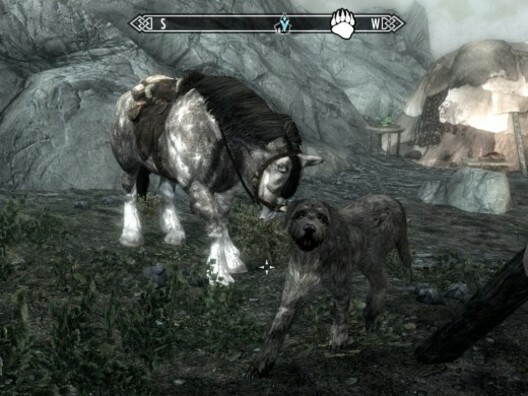 Vigilance is a war dog that can be purchased outside city of Markarth at stables for 500 Gold. If told to wait for player too long it will return to Markarth Stables, and player will have to pay 500 Gold again in order to get him follow. Not a good on sneak. Another of The Companions followers able to be recruited after doing some Quests for the guild first to prove your worth. Brother of Farkas. He is Two-Handed weapons master, thus also trainer in the skill, with ability to use Heavy Armor well also. 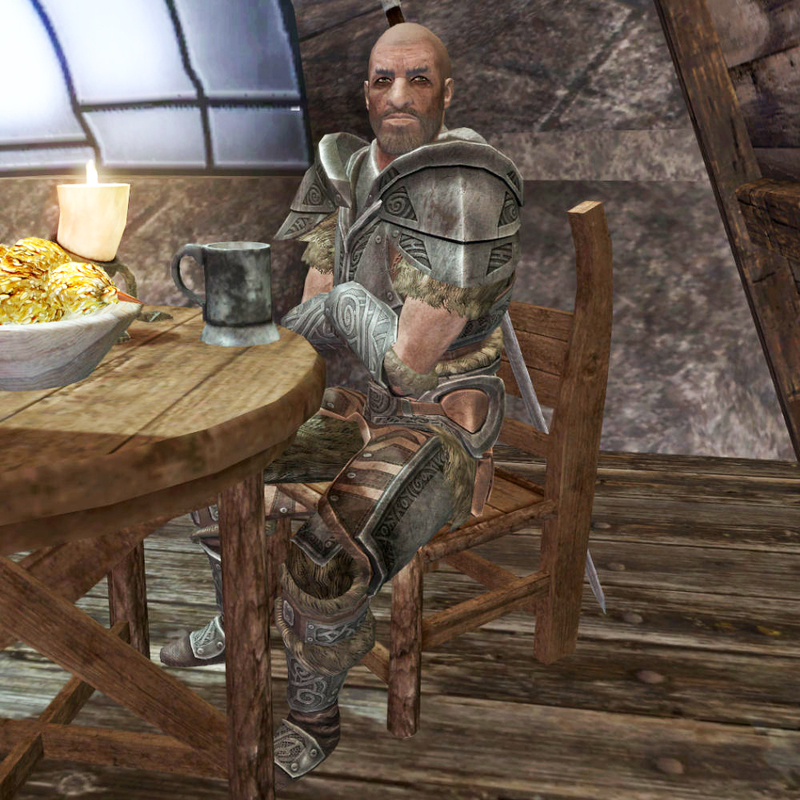 He can be hired at Silver-Blood Inn in city of Markarth for 500 Gold. 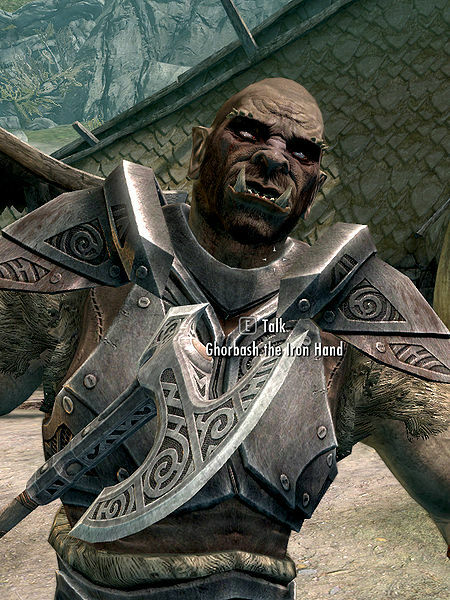 He is a Nord warrior with a huge dislike in mines and such boxed in areas, which he will often let you know about when entering dungeons. Trained in One-Handed Weapons, Block, Archery and Heavy Armor. She is sister of Lucan Valerius, who owns Riverwood Trader in Riverwood. Camilla can be married after player has the Amulet of Mara. Marrying her will grant full access of Riverwood Trader the store as a bonus. 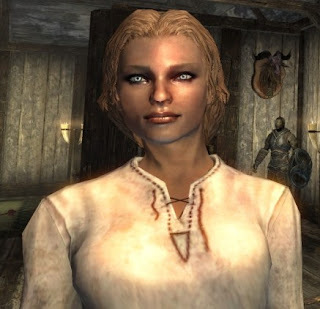 She is an orc blacksmith to be found at city of Markarth and becomes avaibale to marriage after you acquire the Amulet of Mara. She is also a common level smithing trainer. 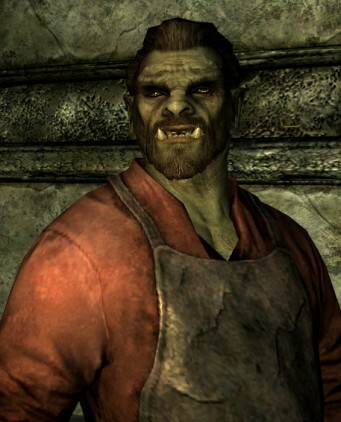 He is a orc blacksmith located in city of Markarth within Understone Keep, upstairs and to the right. He is a blacksmith granting you with some quests and selling decent stuff. Will become available for marriage after you have Amulet of Mara.